In our last discussions entitled ‘Diversity of thinking’, we explored the business case for workplace diversity and we suggested that the different ways we think, serve as strategic building blocks for attaining higher levels of intelligibility – an essential requirement (also known as ’intellectual capital) that keeps organisations competitive. We suggested that the argument for diversity of thought was in fact an argument for greater intelligibility, and also further suggested that the phrase ‘diversity of thinking’ had its roots within the 17th century philosophy of Rene Descartes’, who proposed that “all human beings are essentially thinking things”. Is Descartes actually right? 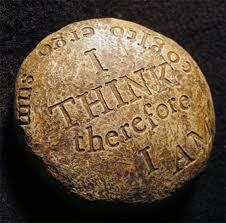 Are all human beings essentially‘thinking things’ as he suggests? Put is it this way; is there more to the actually ‘activity’ of thinking than we know, such that it questions our ‘casual’ usage of the term ‘diversity of thought’, and which may have direct implications on creativity levels in the workplace? I argue that there is. Indeed to a large extent, I think Descartes got it wrong! To say that all human beings are essentially thinking things is to suggest that creativity is derived from the activity of thinking. This is not entirely incorrect, however, there is plentiful evidence that suggests that creativity, in its truest and purest form, is found or accessed ’beyond’ thought, and within the simplicity of individual ’consciousness’. What is this ’consciousness’ you ask? It refers to the reality behind the terms ‘blue sky thinking’ & ‘thinking beyond the box’, etc – terms we often see readily used and referred to in job adverts, job descriptions and during ’brain-storming’ sessions in the boardroom. Whose consciousness are we referring to here, you might also ask? The consciousness of all employees, for we all possess consciousness as a matter of nature, indeed, our ability to focus on it, creating something new in the process, is what Mark Williams, Professor of Clinical Psychology at St Peters College Oxford, calls mind-ful-ness: the state of untainted awareness and non-forgetfulness arrived at by entering the mental arena Eastern philosophies term as the state of ‘no-mind’. Now, where is all this philosophical ‘mombo jumbo’ going, and how does this connect to diversity of thought? Importantly, what is its relevance in the workplace? Thirdly, what is the relevance of this to the workplace? 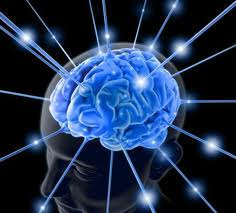 – if thought and thinking, (an activity performed by all employees – consultants, strategists, HR experts, etc) – is in fact necessary for greater creativity, the development of intellectual capital and hence organisational growth, the question is, what are we actually doing in organisations that goes ‘beyond the box’ to promote ‘blue-sky’ thinking and thought?? It was interesting reading an article that appeared in April this year, where 3 Australian Banks and a major finance house – all big employers – applied to Fair Work Australia to rule that weekends be considered normal working hours. The application proposed the span of ordinary working hours to be 7am to 7pm Monday to Friday, 8am to 6pm on Saturdays, and 8am to 6pm Sundays – all part of the push for a 24/7 economy, the article reported. A 24/7 economy? What is that? Do these ‘big employers’ understand that their employees, as a matter of cognitive necessity, need time outside the workplace, a time of ’no-mind’, if you will, in order to be able to perform better in the workplace, and be truly creative – through initially accessing the ‘blue sky‘ of their personal space? Is this not what ‘workplace flexibility’ and ’well-being’ is all about? About allowing for individual space to re-connect with their ‘internal-identities’ outside the workplace,so as to become more productive within it? The reality is that the way many 21st organisations are designed – their functions, processes, procedures, etc – and the attitudes and behaviours that emanate as a consequence, actually stifle and prevent ’blue-sky’ thinking, and the diversity of thought from actually taking place. It is as if we have, through our own devises, constructed our own incapacity for being truly creative in the workplace. There are, however, companies that do understand the core theme being put forward here: New Apple Inc CEO, Tim Cook for example, as a direct result of strong employee performance in 2011, ordered staff to take paid time off to spend an entire week with their families and friends. Indeed, a recent study in the Fortune 500 showed that 89% of employees with high levels of well-being reported higher job satisfaction and improved creativity levels, and a further two-thirds of those reported consistently putting extra effort at work. Give employees their time, and the organisation will get theirs back – two fold. 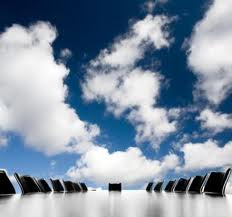 It’s time to start connecting the dots… ‘blue sky thinking’ is attainable…but only by allowing the minds of employees the space it needs…just to be…in order for the organisation to benefit from the arising diverse potential that comes as a direct consequence.